Maggie Sottero is a name that tops the charts at bridal houses around the world – and there’s no surprise as to why! The label focuses on flattering feminine silhouettes, mixed with old-world romantic details, and palettes brimming with soft colors. The latest collection is inspired by the bohemian bride – think an abundance of lace, beaded embellishments, velvet ribbon and lots of texture. Did our mouths drop in awe? You bet! Effortlessly elegant + timeless silhouettes are staples in this collection and with the addition of surprising details, such as daring deep Vs and illusion necklines, you’ll no doubt fall in love over and over again. P.S. The above dress is the Kylie. The cascading Swarovski crystal beading coupled with the sweetheart neckline creates such a romantic and airy dress, with just a touch of whimsy. Ready to see more? Let’s go! Understated elegance is found in the Deirdre gown, with its subtle use of lace. Sweet and sophisticated, the back reveals a stunning deep V that transforms this gown into a more sensual style. The Kirstie is one breathtaking bohemian sheath wedding dress, with the timeless + romantic sweetheart neckline. 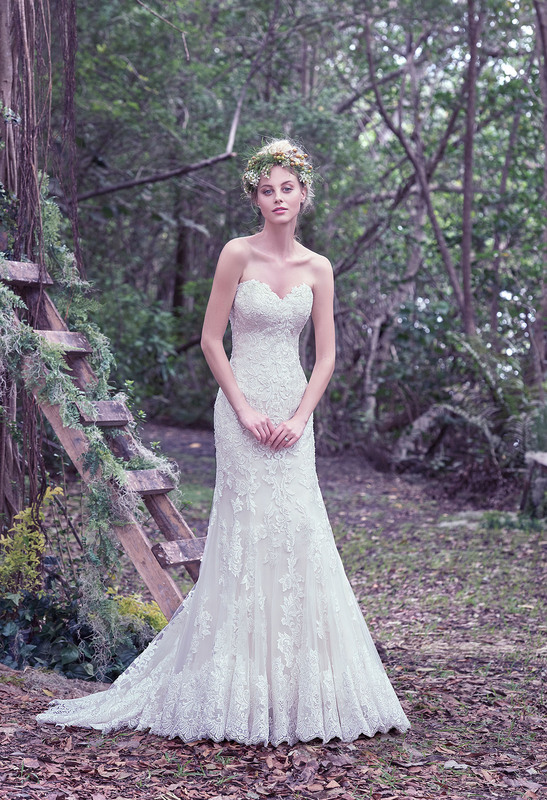 We love the lace appliqués that drift atop the tulle! How positively chic + stylish is this Griffyn two-piece wedding dress?! The embellished bodice overlay and sheer midriff give this elegant look a bit of edge. For the bride looking for a classic A-line gown, but wanting to add modern elements – the Anita dress is for you! Also – hidden pockets (keep that lipstick on point without having to track down your makeup artist)! GENIUS! The Jennita fit-and-flare wedding dress features hand-placed shimmering lace appliqués and is absolutely darling. 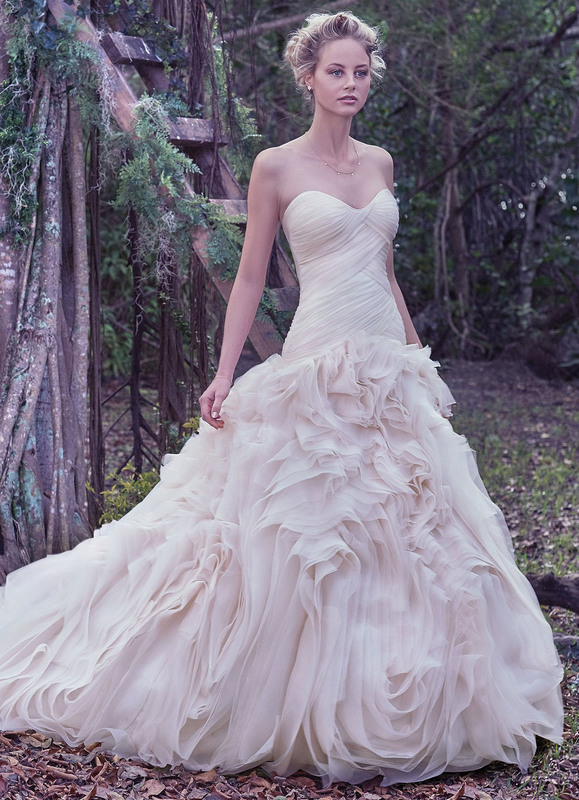 The swirling tulle and organza skirt of the Penny is just BEAUTIFUL! Aren’t these just incredible?! Find the full collection here: Maggie Sorreto. This post is brought to you by Maggie Sorreto. All content, ideas, and words are by Green Wedding Shoes. Thanks for supporting our sponsors! These are amazing wedding dresses.